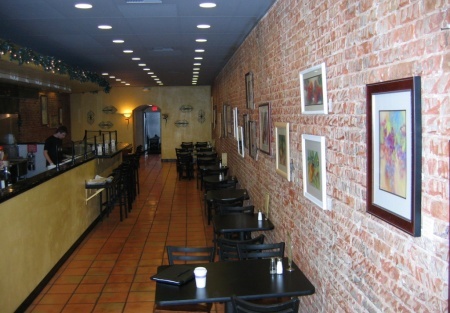 This is The Prime Downtown Sacramento location everybody has been asking us for! A very manageable 1,800 square foot location with basement storage. At 1.62 per square foot and frontage on the highest foot traffic area in town, this is what everybody wants! Approx 45 inside seats and an outside seating area for 10 more make this a great breakfast/lunch environment, but the nightlife is all around it just waiting to be addressed. The type 41 liquor complements the menu well. The two rear executive parking spots are a rarity in this area and will allow for catering pickup and delivery. A very well appointed build out has done with a 10 foot hood, grease trap, hook up for a deep fryer and walk in fridge. Two large ADA bathrooms are already built out. This place looks GREAT! Some catering has been done for nearby businesses but it is tough to grow for this owner who really wants to focus some time on his newborn. He hates to move away from it now as his reputaion is growing. This is a Paramount Restaurant Brokers, Inc. DBA SellingRestaurants.com listing.